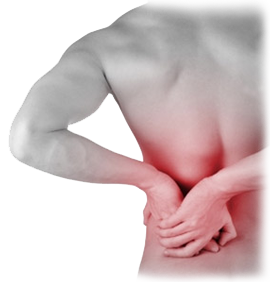 Physiotherapy treatments for musculoskeletal conditions. Have You Got Pain, Muscle or Joint Problems? Catherine Jones frequently treats patients with pain, stiffness, muscle weakness, instability and reduced mobility. Catherine offers a wide variety of physiotherapy treatments for all types of patients and has experience working with athletes ranging from amateur to elite. Spinal Problems - slipped disc, sciatica, back pain, sacroiliac joint problems, neck pain and stiffness, whiplash, headaches, nerve problems (numbness, pins and needles), and pregnancy related pain or pelvic pain. Joint Problems - pain, stiffness, swelling, clicking, giving way and locking in knee, hip, shoulder, elbow and wrist joints. Also including osteoarthritis, rheumatoid arthritis, fractures, dislocations and subluxation of joints. Muscle & Soft Tissue Injuries - muscle and tendon strains, tears and ligament sprains including tennis elbow, sprained ankle, achilles tendinitis/tendinopathy, cartilage tears, plantar fasciitis, bursitis, rotator cuff tears and shoulder impingements. Repetitive Strain Injuries - upper limb pain and postural related problems. Post-Operative Rehabilitation - total knee replacement, total hip replacement, back surgery, arthroscopy (keyhole surgery), shoulder surgery and ACL reconstruction. © Catherine Jones. All Rights Reserved.